Have you ever lost something that may seem insignificant and yet it inhibits you from doing SO many things?! That has been me since early this summer! 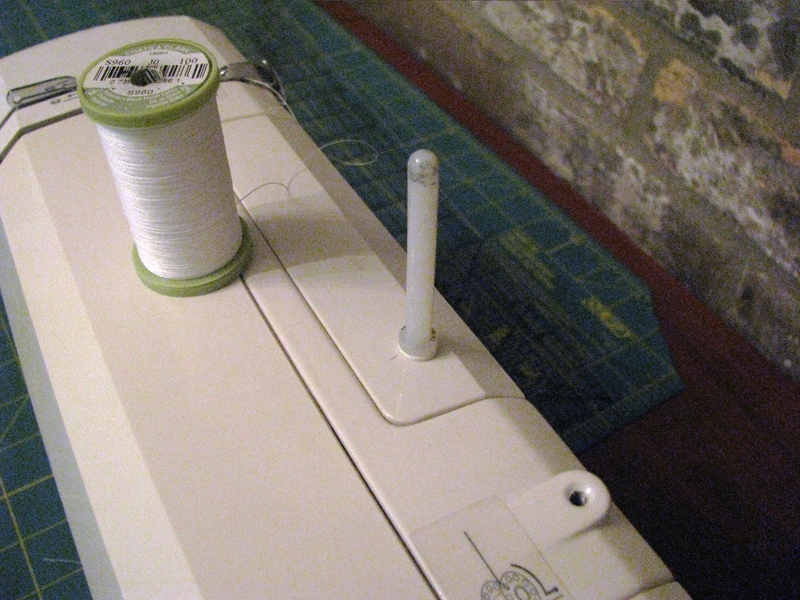 I lost the thread holder for my sewing machine. Yes, that is correct, a small, translucent, plastic stick has caused quite a bit of annoyance for me recently. I looked on, in and around my sewing table. I looked in all of the boxes where I house my sewing supplies and nothing, no such luck… for months. I looked high and low at Hobby Lobby, Walmart, etc. for a replacement also with no luck… I was just about to give up, buy one on Amazon and pay shipping on this tiny yet crucial piece of plastic, when I decided to go on an all out search last Thursday night. I knew it just had to be somewhere! 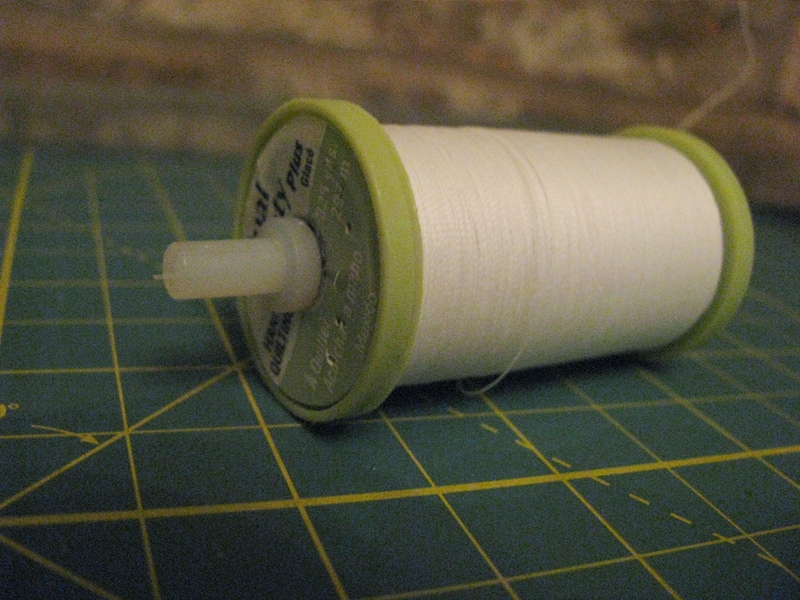 I finished looking through my supplies for the umteenth time when I spotted the bottom end of the little bugger sticking out of a spool of thread! GAH! At first, I was flabbergasted and a little irritated that I had not seen it before… And after a few minutes, I found myself utterly delighted to finally get back to my sewing projects. This weekend that is exactly what I did! I got back on track with my blooming nine patch on Saturday. I completed 3 of the bigger rows while watching “What to Expect When You’re Expecting” (It has been floating around on my Netflix queue for a while. I thought it was very cute!) Now I am really excited about how close my quilt is to completion! I was hoping to have this poor project complete several times over the last year so I am not making any promises to myself. Just to do a little at a time. I believe it will be worth the wait! Other than that, we did an early birthday dinner with my in-laws, Geoff and I enjoyed watching a few shows on Netflix, and I got to enjoy some extra time crawling around with my little guy! 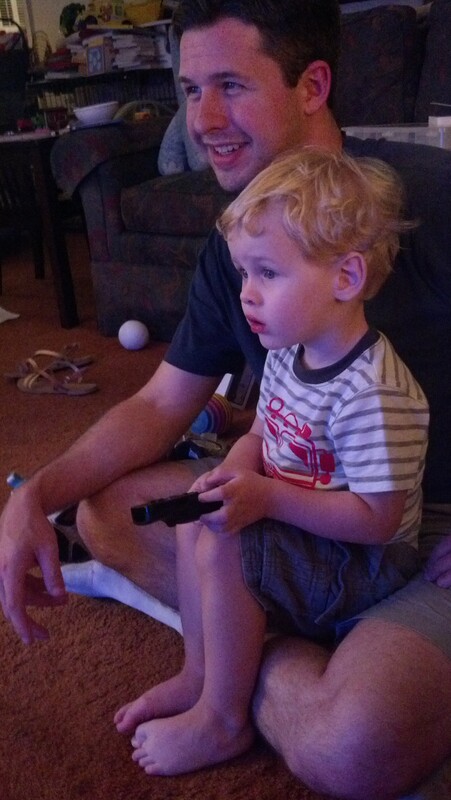 Also, Christopher learned to fly on the Wii controller at Nana’s house. (Parent Brag Alert) I must say he is ridiculously good at it already! Probably better than his spastic momma… I am not the best at video games! Labor day was my birthday. 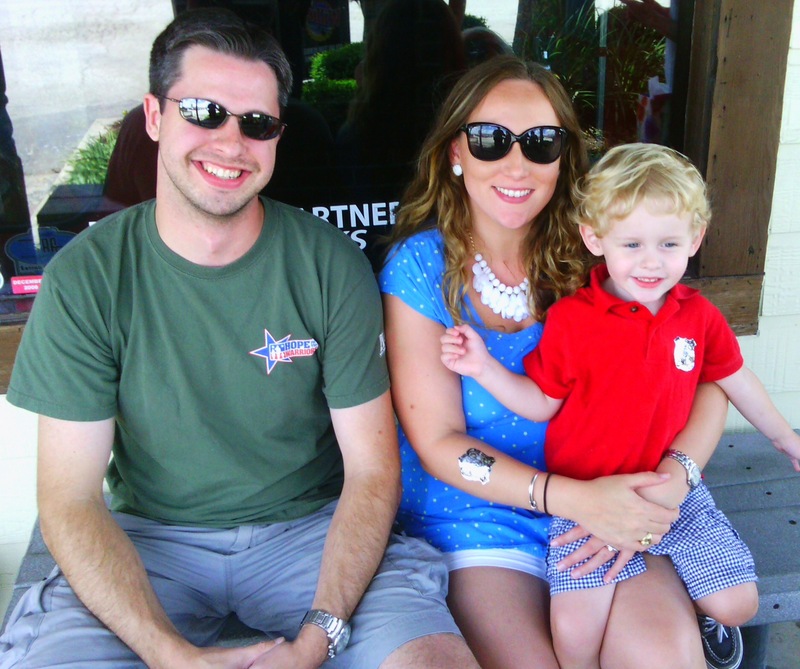 We had lunch with my family and spent the rest of the day lounging around. It might sound boring to some… but I thought it was absolutely heavenly! Christopher also got an HPD badge sticker from Poppa! What did you do over the holiday weekend? Are you watching any shows on Netflix right now?